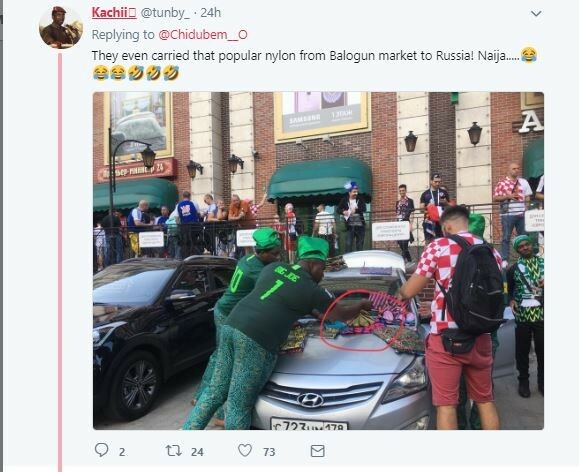 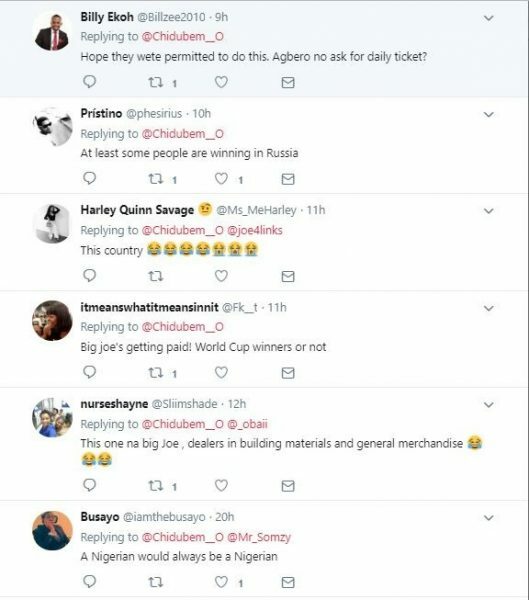 Some Nigerian men were captured in their Super Eagles jersey outside the Kaliningrad Stadium, Russia selling Ankara fabric before the Croatia vs Nigeria World Cup Clash last week. 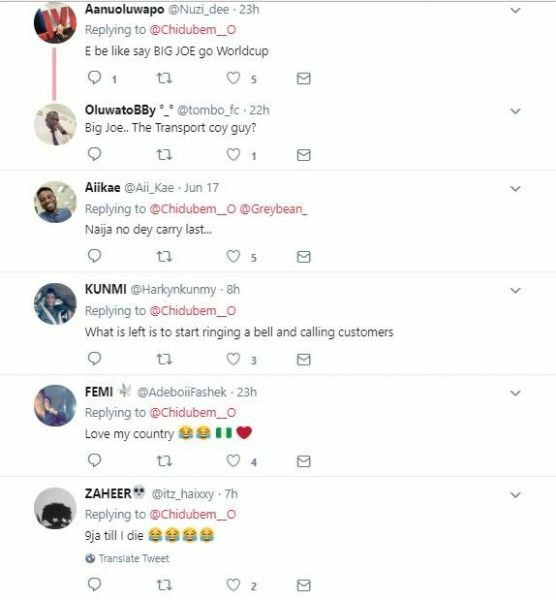 The picture has since gone viral and many Nigerians have reacted to the picture. 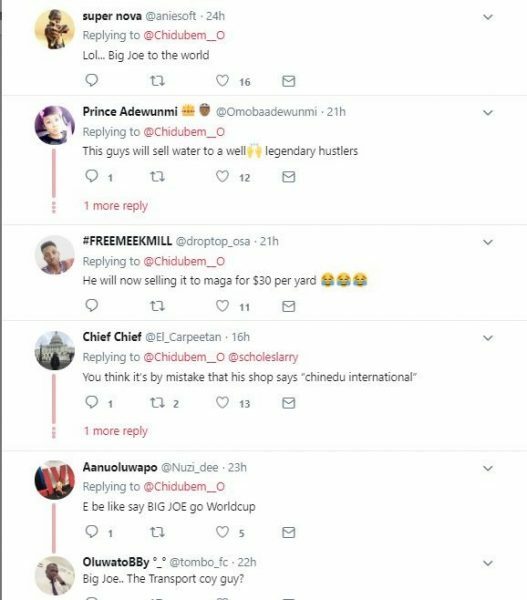 Nigerians are arguably the most outstanding Africans and they definitely set a way for themselves anywhere they go. 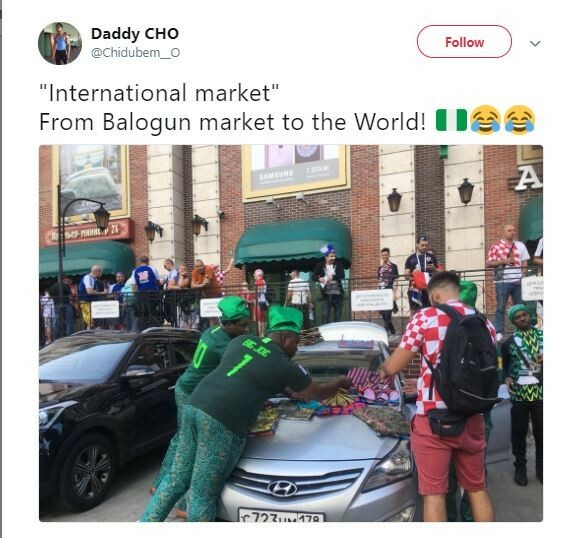 This fact is most evident in almost every Nigerian gathering.